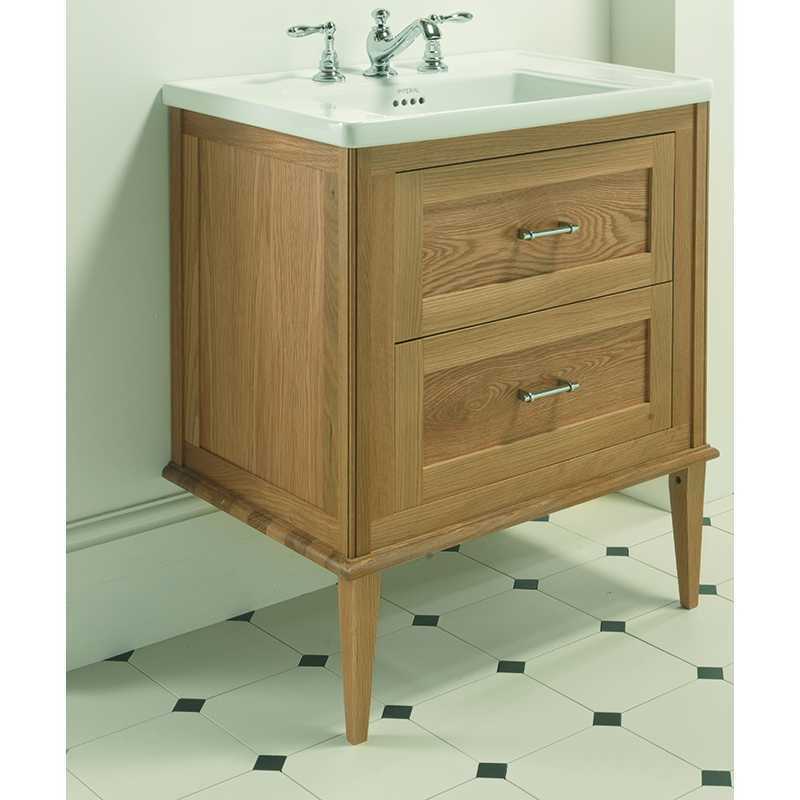 Capture the essence of yesteryear with this stylish Radcliffe Thurlestone Wall Hung Vanity Unit from Imperial Bathrooms which boasts elegant period styling and a choice of eight beautiful finishes. 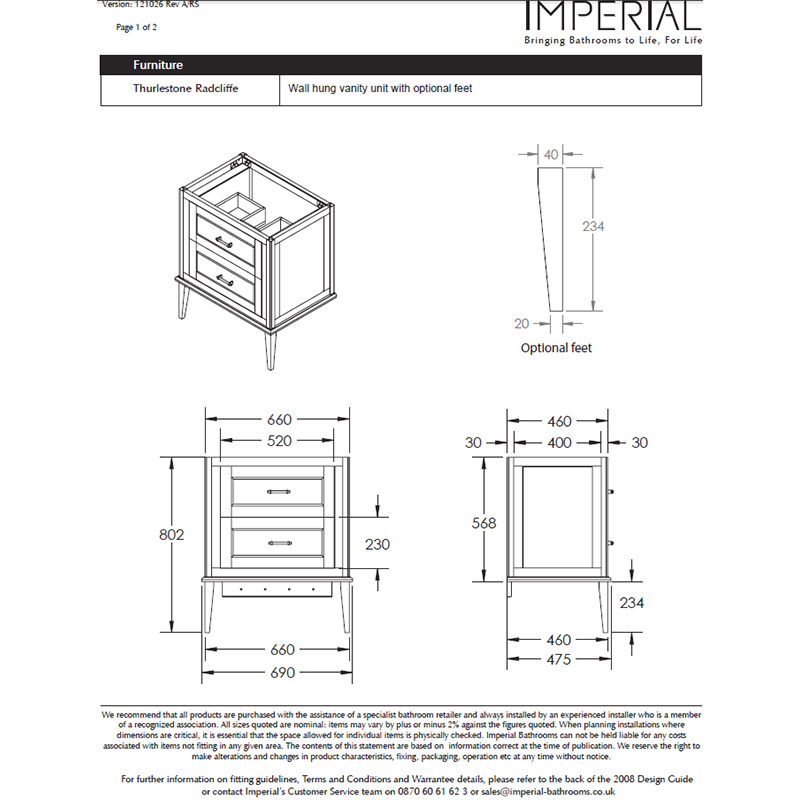 Choose from natural oak and wenge wood finishes or the stunning hand-painted shades of sage thistle, white linen, grey ecru, canvas wheat, cream haze and London clay. 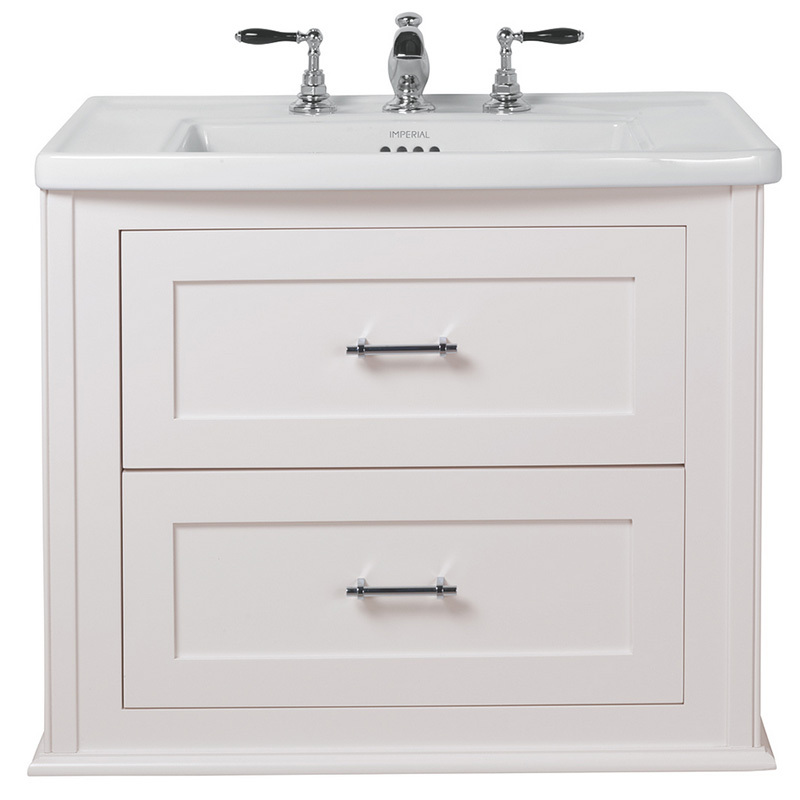 This wall mounted vanity cabinet comes complete with a pure white ceramic basin and front wooden legs and is crafted to the high standard you would expect from Imperial Bathrooms.